Our Voicemail To Email service provides the perfect solution for businesses that really do not need a Live Receptionist to answer their phone and handle their calls. A local phone number. Instantly allocate yourself a local telephone number (e.g. 02 for Sydney, 03 for Melbourne, 07 for Brisbane, 08 for Adelaide and Perth, 026 for Canberra, 036 for Hobart etc) during setup of the Virtual Receptionist free trial service. We will then amend that number from a "Live Answering Service" number to a "Voicemail to Email" number. Record your custom greeting by dialing into our voicemail system, or simply provide us with the script and we will have one of our receptionists record your custom greeting for you. Callers dialing your allocated local number will hear your personal custom greeting and have the option to leave a message. This message will be sent instantly via email to one or more email addresses as you determine. We offer a FREE 7 Day Trial. Set your service up instantly and be receiving your messages by email in minutes from now! A local Australian telephone number which you can advertise on your web site or business cards. Setup is instant. You can be receiving inbound messages by email in two minutes from now. No more missed calls or telephone tag, messages can be left 24/7 by your customers. For $20 per month + GST for the first phone number (e.g. 02) and $20 + GST for additional voicemail to email numbers (e.g. 03, 07, 08 etc) you can have a single or national presence across Australia! As long as you have internet access you can receive your voice messages anywhere, anytime! Via the internet you can instantly amend (add, delete, change) the email address/s your voice messages get sent to. There are no security deposits. There is no obligation to continue after the free trial to a paid subscription. The choice is yours. 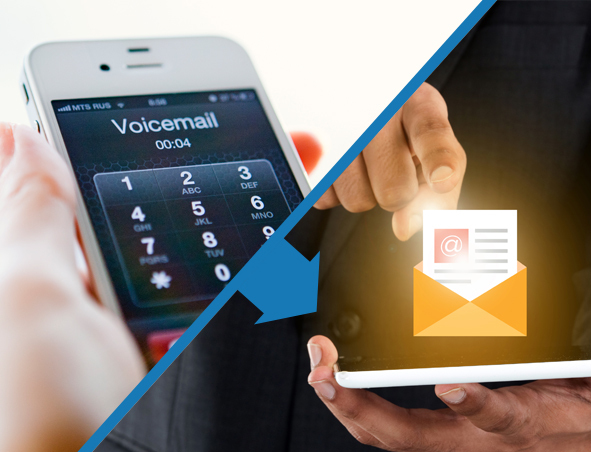 If you wish to continue with the Voicemail To Email Service after the free trial we simply obtain your credit card details and upgrade you to a paying subscription. You retain the same local phone number/s after the Free Trial. Apart from becoming a paying customer, nothing else changes. There are no long term contracts. It is month to month. You can cease the service at any time by giving us a minimum of just one working day's notice. There are no cancellation fees. If you have an existing telephone number there is no need to change that number. Simply divert your existing phone number to your allocated phone number and instantly callers will hear your custom greeting and you will be receiving their voice messages by email. Have you thought of having a total Virtual Office solution? With over 50 business centres throughout Australia (Sydney, Melbourne, Brisbane, Canberra, Gold Coast, Adelaide and Perth) you are able to add additional virtual office services at any time e.g. our Virtual Receptionist Live Answering Service, Fax 2 Email or Virtual Mail Address. An interstate or national presence across Australia has never been more cost effective. Just $20 per month for your Voicemail To Email service and only an extra $25 a month for Fax To Email. From $20 per month you can have your own Live Virtual Receptionist if ever you wish to upgrade. Sign up for a FREE 7 Day Trial now and be receiving your messages by email in two minutes!